The Elven Sanctuary is hosting an event! 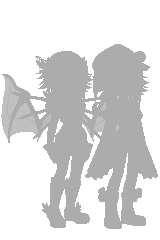 Look over some greyed out silhouettes of avatars and see if you can guess any of the users. Be quick, the easy ones are gonna be picked first and loads of prizes are up for grabs! Including some legendaries and epics! You can only win a max of three times, but prizes will randomly be given out if you stick around and try to help the others!